Controversy is developing as one of the Mega Millions jackpot winners plainly refused to share the winnings with her syndicate. 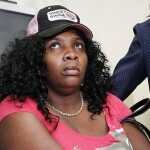 Mirlande Wilson, a MacDonald worker who was one of the lucky winners of the $656 Mega Millions jackpot claims that she bought the winning ticket with her own cash rather than the Syndicate’s finds. She was a member of a strong 14 Member Macdonald lottery syndicate. 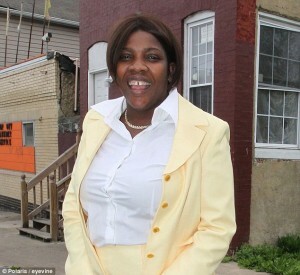 The syndicate had each contributed $5 out of their $7 per hour salary for the lottery tickets. The group then sent Miralde to go and purchase the Mega Millions tickets hours just before the historic mega millions draw. The group is now demanding for their rightful share of the Mega jackpot. The syndicate is backed with a a CCTV footage evidence as proof of the Purchase of the winning ticket from a local grocery store. The footage shows Miralde buying a ticket at 7:15 pm , this is around the time when the syndicate agrees the winning ticket was bought. About four hours later, a call to the restaurant informed Miralde that she had the winning ticket. It is not clear on what means the syndicate plans to use to seek redress on the matter. 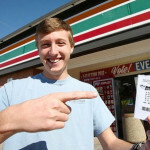 Lottery players had spent approximately 1.5 Billion dollars in the run up to the Mega Millions draw. Three tickets matched the winning number. One of the jackpot winners from Maryland is yet to claim the winning ticket. 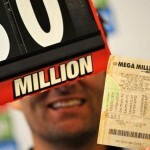 The Mega Millions is a popular lottery game played in 42 states of the USA. 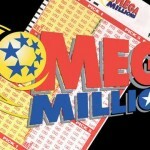 Players around the world can participate by playing Mega Millions online.